On a clear day – even from a distance – Saddle Mountain steals the scene across the Oregon Coast Range: a distinct landmark that’s hard to deny! 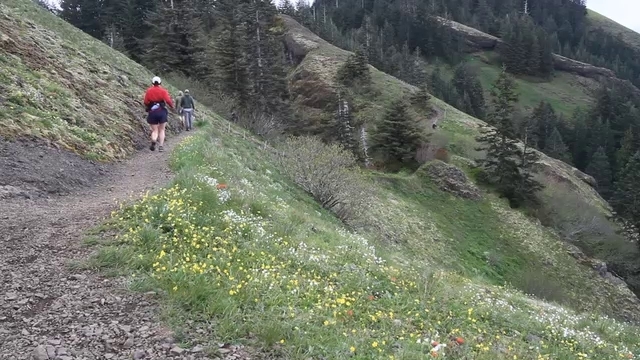 It is even harder for hikers to resist on an Oregon State Park Trail that will steal your heart. Each step up Saddle Mountain’s two and a half mile long trail reveals a timeless place born of events that are 16 million years old. The site dates to a time when a thick layer of Columbia River basalt flowed into the ocean from distant Eastern Oregon. Eventually, the ground rose and the mountain was born. Today, the basalt breaks away in chunks – cracks, crevices and bands show off eons of geologic time. The trail opens onto grassy meadows covered in a riot of wildflowers. Although water is rare, cool springs seep and replenish a surprising number of plants with a distinct sound that also soothes the soul. If time is on your side, you will be face to face with the namesake–the saddle and then the summit–bare double peaks that loom ahead. Each day’s view is different; in spring the ocean is often obscured. 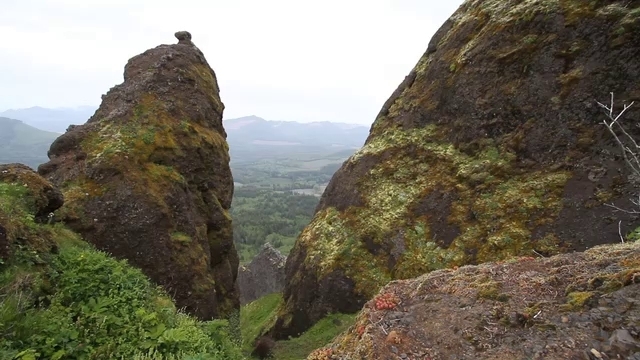 As sixth highest point in the Oregon Coast Range, Saddle Mountain serves up drifting clouds so close you’ll feel as though you can reach out and touch them. That means it can be downright cool too! So dress warmly – in layers – and be sure you wear sturdy hiking boots with good ankle support for your climb and the descent back to the parking lot. You may choose to make the park a longer stay at one of the ten primitive campsites. Each is perfect for a tent – no trailer space, although trailers are allowed in the parking area. But be aware that there are no hook ups for water or electricity. Let Saddle Mountain State Natural Area be but the start of your back road journey. Next up – the nearby Lower Nehalem River Road is accessed at Elsie, Oregon. A few short miles down the road you’ll meet Henry Rierson Spruce Run Park – a fine place to call it a day. Spruce Run campsites (many are streamside) go for $10 a night and each is available on a first come-first serve basis; no reservations are accepted. Four miles up the road you can get lost on purpose – with a rod and reel and a chance to catch fish at Lost Lake. The Lower Nehalem River Road winds about as a dizzying affair with views of the Nehalem River and once back to straight-as an arrow State Highway 26. Look for landmark Camp 18, a popular rest spot known for it’s restaurant and these days – something new. 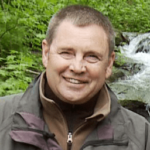 Mark Standley said that the Camp 18 Logger Memorial Museum is a place to remember those who gave their lives to Oregon logging. A crowning museum centerpiece greets you at the entrance: a life-sized bronze of a hard working logger with actual logging equipment, even a full sized tree..
It’s a remarkably accurate work of art: the logger’s pants and sleeves cut short so not to hang up on limbs or brush – a firm grip on his working chainsaw with a falling axe within easy reach. That’s what you’ll be saying about this backcountry byway – where the Nehalem River flows to the sea and the mountains soar to the sky – a stretch of Oregon that will keep you coming back for more.